"COLUMBUS, Ohio - With the frost that hit the region in recent days, the potential for prussic acid poisoning in livestock is likely on the mind of many producers. But, in addition to taking measures to prevent livestock toxicity, producers can also consider testing forage for prussic acid content, according to a forage expert with Ohio State University's College of Food, Agricultural, and Environmental Sciences. 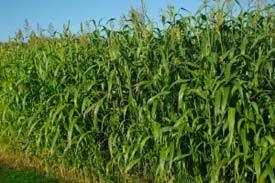 Some forage species, such as sudangrass, sudangrass hybrids, forage sorghums or sorghum-sudangrass crosses, can become toxic to livestock after a frost, said Mark Sulc, an Ohio State University Extension specialist. OSU Extension is the outreach arm of the college..."